Barack Obama is holding campaign events with Democratic candidates in California, Ohio, Illinois and Pennsylvania just two months before the 2018 midterm elections in November. Michelle Obama is headlining voter registration rallies in Las Vegas and Miami this month, Bloomberg reports. Why it matters: The Obamas are Democrats' best counter to President Trump's heavy campaign schedule this cycle. 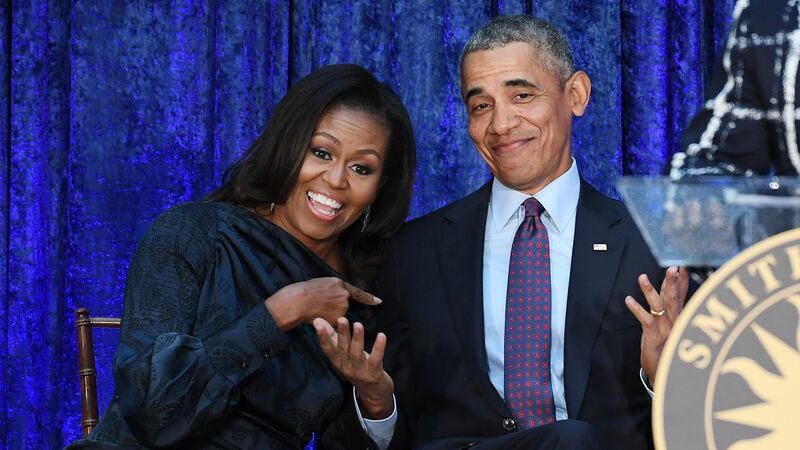 Their event announcements come as former President Obama recently endorsed over 80 Democratic candidates up and down the ballot. Driving the news: Per the NYT, Obama is going to Ohio to stump with Democratic gubernatorial candidate Richard Cordray; he's campaigning with Democrats running in all seven of California's GOP-held districts that Hillary Clinton won in 2016; and he'll campaign with Democrats in Illinois and Pennsylvania. Michelle Obama's voter registration rallies are part of When We All Vote, the nonpartisan group she's involved with that encourages and promotes voting in the 2018 election. Correction: This post has been updated to reflect that Michelle Obama will not be appearing with any candidates at her rallies.